Lithuanian Talmudist of the seventeenth century. He was a pupil of Ẓebi Hirsch, rabbi in Lublin. In 1687 he was rabbi at Kosowi, Russia, whence he was called to Syeltzy. In 1702, compelled to leave Syeltzy on account of the persecution of the Jews under the temporary rule of the Swedes, he went to Hamburg, where he remained until 1706. He returned to Syeltzy in that year, but in 1710 was compelled again to leave it by the outbreak of an epidemic. 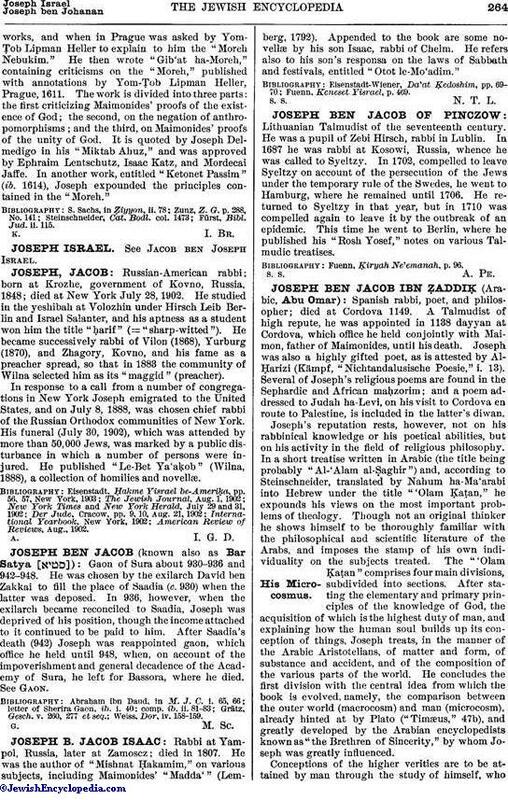 This time he went to Berlin, where he published his "Rosh Yosef," notes on various Talmudic treatises. Fuenn, Ḳiryah Ne'emanah, p. 96.